Review: 2013-12-07, fight not so spectacular between Zab Judah and Paul Malignaggi: it gets two stars. Zab Judah (42-8-0, 29 KOs) entered as the No.5 light welterweight in the world while Paul Malignaggi (32-5-0, 7 KOs) entered as the No.16 welterweight. Judah vs Malignaggi is valid for the vacant NABF welterweight title. Watch the video! Review: 2013-04-27, very nice fight with one knockdown: Danny Garcia vs Zab Judah gets three stars. The undefeated Danny Garcia ranked as the No.2 light welterweight in the world, entered the fight with a record of 25-0-0 while Zab Judah had a record of 42-7-0 (Judah is not ranked as he hasn’t fought since March 24, 2012 when he defeated Vernon Paris). Garcia vs Judah is valid for the WBA and WBC light welterweight titles. Watch the video! Review: 2012-03-24, good fight and nice TKO in the ninth round: Zab Judah vs Vernon Paris gets three stars. Zab Judah (41-7-0) entered as the No.11 light welterweight in the world while the undefeated Vernon Paris (26-0-0) entered as the No.18. 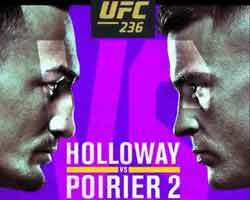 Judah vs Paris is valid as IBF Light Welterweight Title Eliminator. Watch the video! 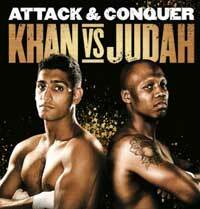 Review: 2011-07-23, pleasant fight between Amir Khan and Zab Judah, two of the fastest boxers in recent years. Khan was dominating Zab Judah and he knocked down him in the fifth winning the fight too easily, even if Judah complained that the punch was low. The fight Khan vs Judah was valid for the IBF and WBA Super World light welterweight titles. Watch the video! 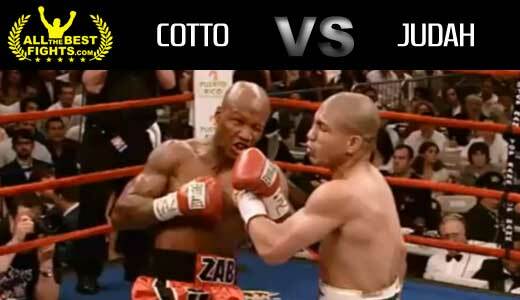 Review: 2007-06-09, Miguel Angel Cotto vs Zab Judah was valid for the WBA World welterweight title. Judah (34-4-0) came from two defeats against Floyd Mayweather Jr and Carlos Baldomir (and a no contest), and choosing an undefeated and dangerous boxer as Miguel Angel Cotto was certainly not a wise decision…but the fight was amazing! Watch the video!